Hey everyone! I am trying to finish up this challenge so that I do not have to post after Christmas since its a getting ready for Christmas challenge. I should have did a better job of preparing. I did enjoy this challenge though! 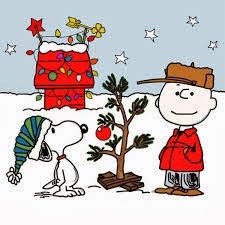 I chose A Charlie Brown Christmas for my movie. 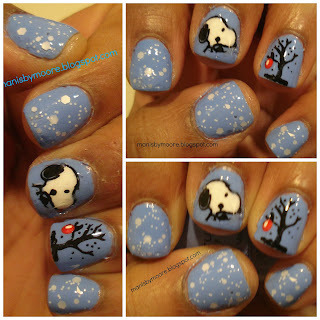 I have never seen it but I got my new plates that have Snoopy on them and knew I wanted to incorporate the cute little image! I need to get this movie to watch with my boys because my 9 year old doesn't even know who Snoopy is. That is like some general knowledge you need right?? LOL! Below is the pic where I got my inspiration. What is your favorite Christmas movie?? My favorites are the Home Alone movies. Thanks for stopping by! Thank you so much!! I can't wait until I get my lights and photo box so I can take pictures at night. Cause I will mess my nails up.